Home / Entertainment / Yaay! Davido Goes Home With The Best African Act Award At The 2017 MTV Europe Music Awards! Yaay! 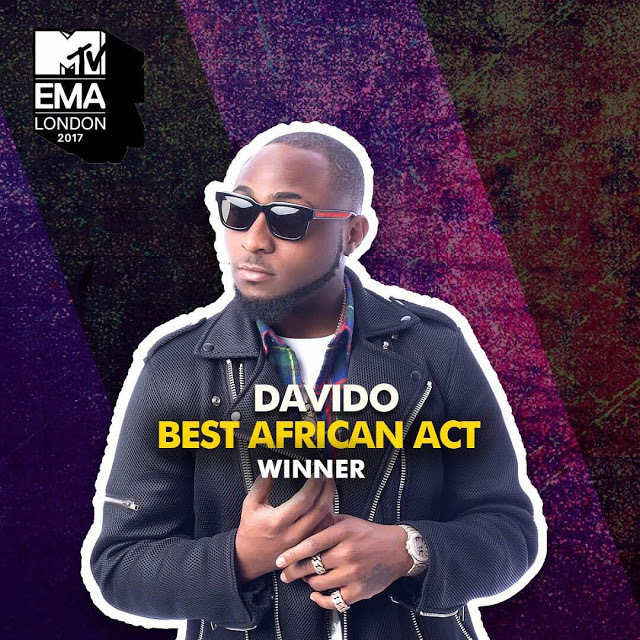 Davido Goes Home With The Best African Act Award At The 2017 MTV Europe Music Awards! Nigerian singer, David Adeleke, better known as Davido, yesterday won the Best African Act award at the 2017 MTV Europe Music Awards in London. He was nominated in the Best African Act category alongside South Africa’s Babes Wodumo & Nasty C, Angola’s C4 Pedro, Kenya’s Nyashinksi and others. "I’M ON FiAAAAAAA!! Thank you everybody. THIS IS FOR YOU MOM! #30BG,". We are so happy for him, double Congrats to him!